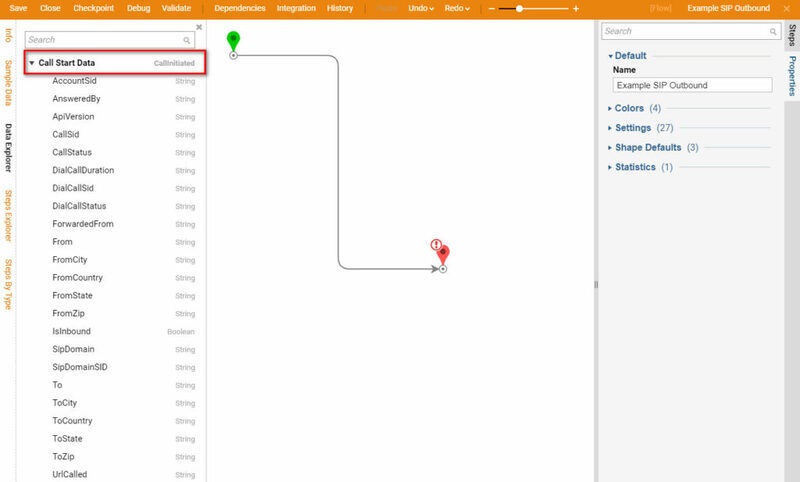 Outbound calls made through SIP credentials rely on having an additional outbound flow added to the handler. 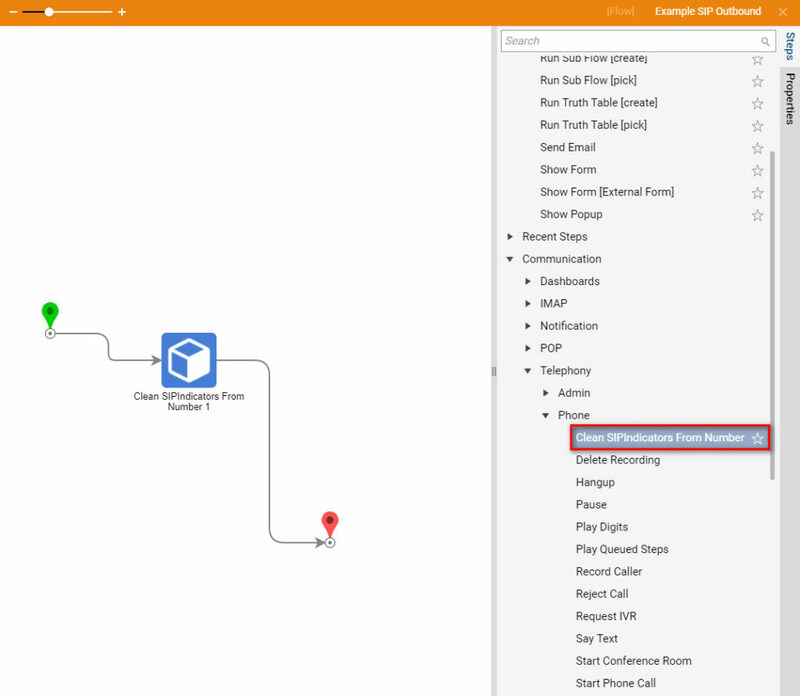 In Decisions, Sip credentials can be used to call through a SIP domain by creating a SIP Outbound flow . Before continuing you must Create a telephony handler . 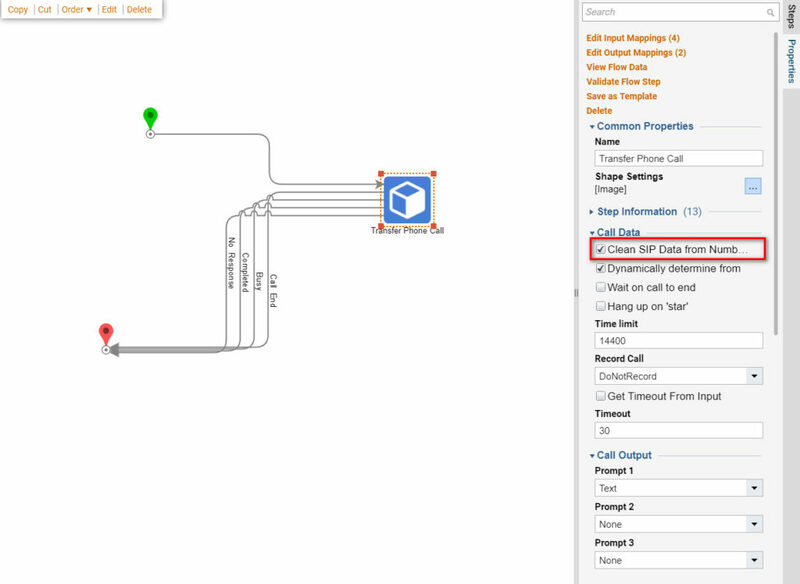 This SIP Outbound Flow will have the Call Initiated	data associated with the call being placed as an input. In the case of using SIP credentials remember that the call from	number will be sip:[SIP Username]@[SIP Domain]	. The telephony call steps by default clean the SIP credentials off of this number leaving just the username. 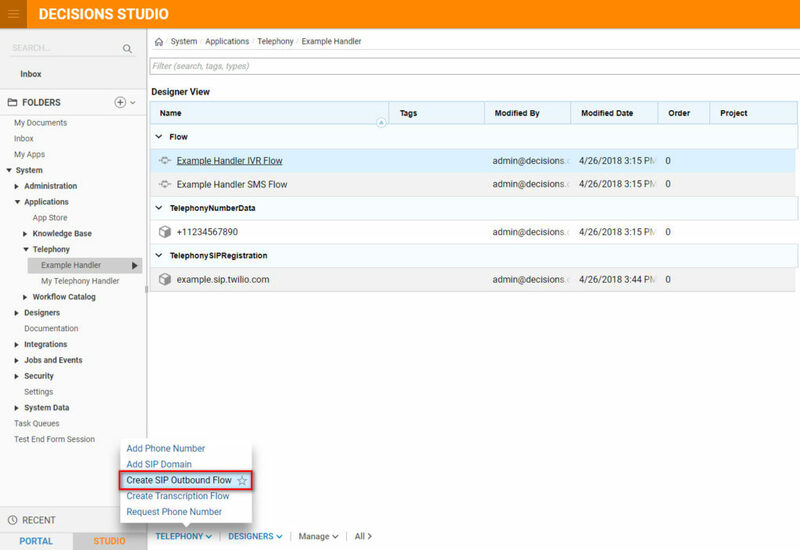 By unchecking the Clean SIP Data from Number	option the call will be placed through the credentials on the domain.